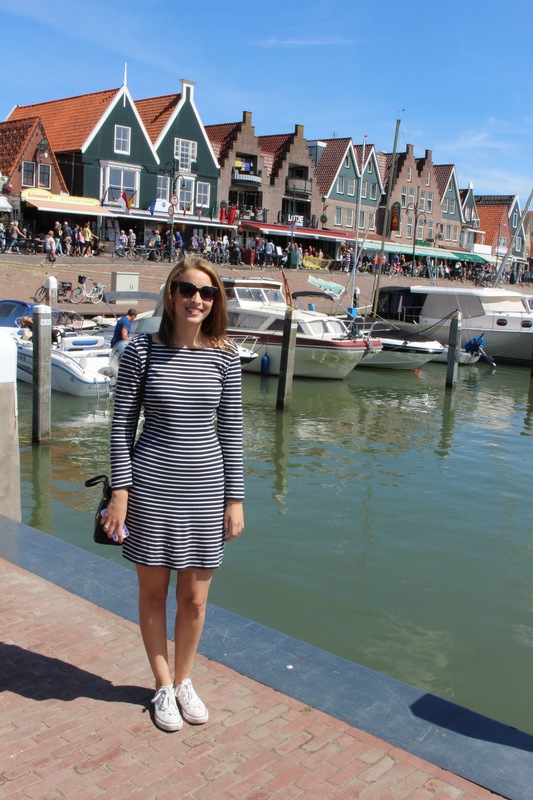 A Day in Volendam, North Holland ! 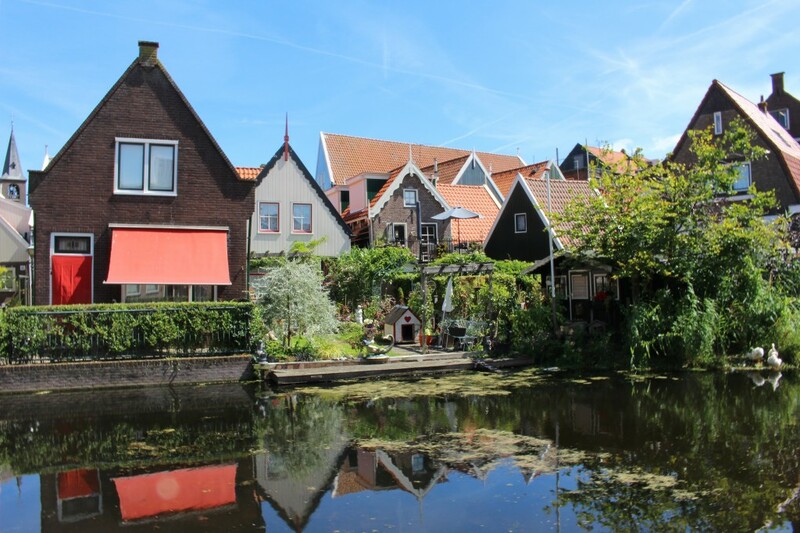 With a few trips to the province of North Holland and a visit to Edam I decided to visit the neighbouring city of Volendam which is a part of the Volendam-Edam municipality. 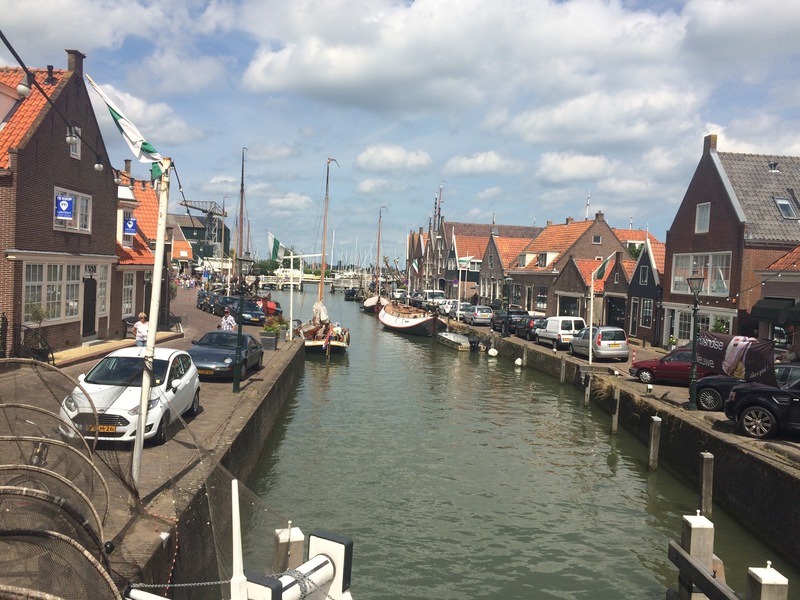 I arrived by car and parked in a parking spot that is found between Volendam Marken and the Harbour, a perfect spot. 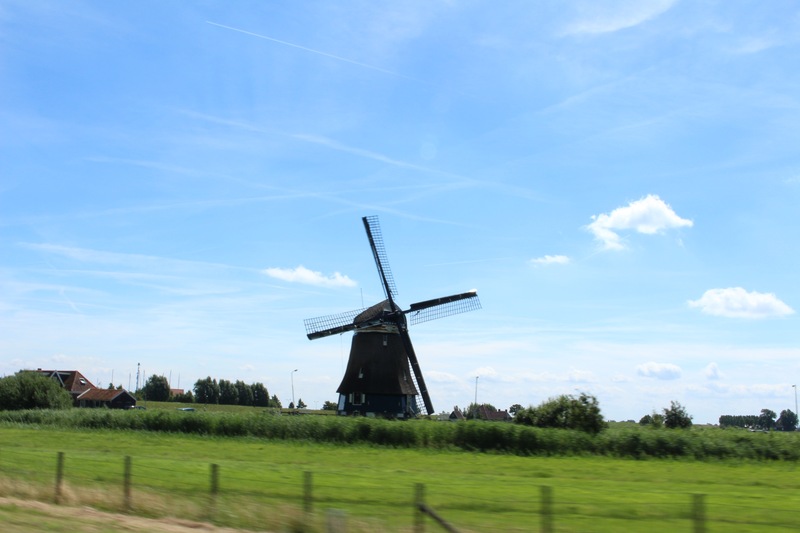 Volendam is 35 minutes away from Amsterdam by car and is famous for being the birth place of several Dutch singers and for being mentioned in songs. 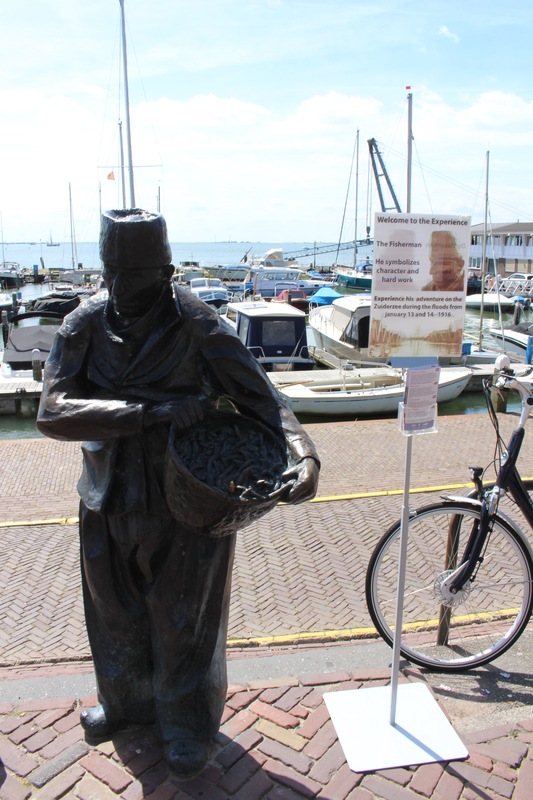 Volendam is known as a harbour and I decided to start my walk around the city at the Marken. I don’t know if it’s the summer weather or if this city is usually like this but it was so lively! 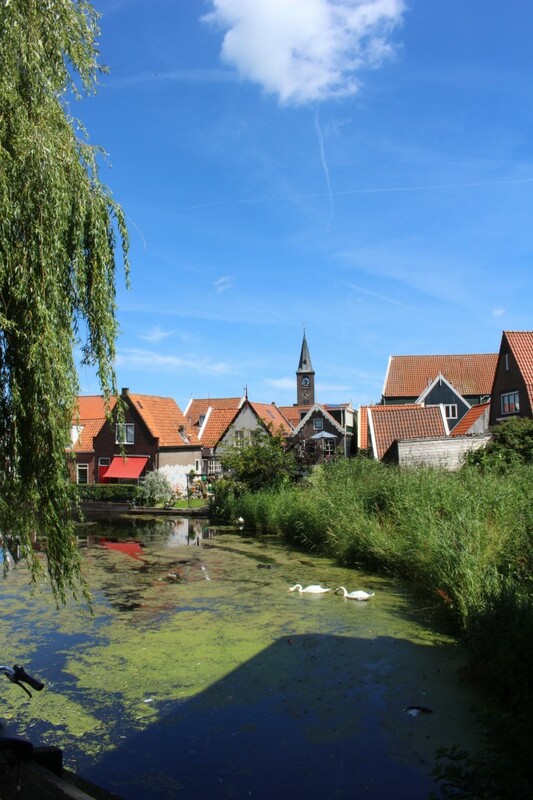 On a warm day at Volendam in North Holland! As you walk along the water side tehre are shops, restaurants and business on one side and statues and food stands on the other. 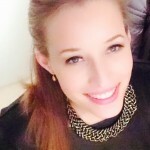 One of the most recurring businesses is that of those that take pictures of people in traditional Dutch costumes. If that is something that interests you, this is the place to do it as there were at least 5 different shops. It would be a great souvenir to take away. 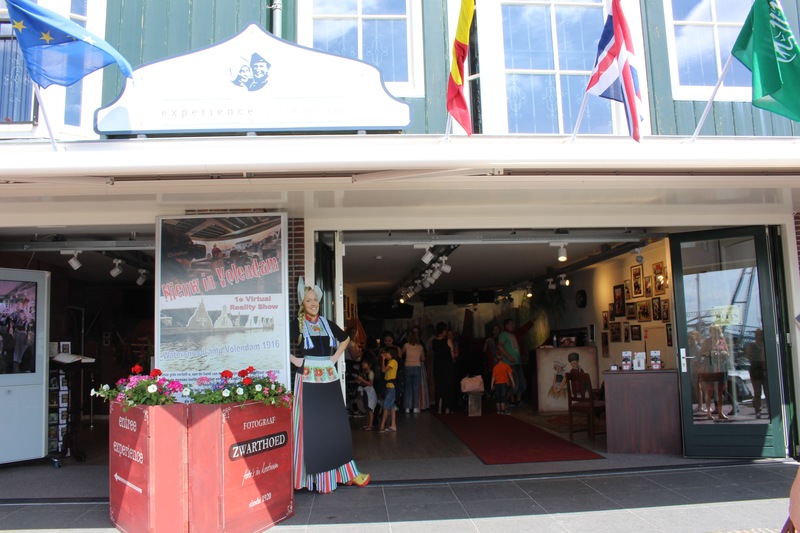 Looking to dress up like the Dutch and have a picture taken? 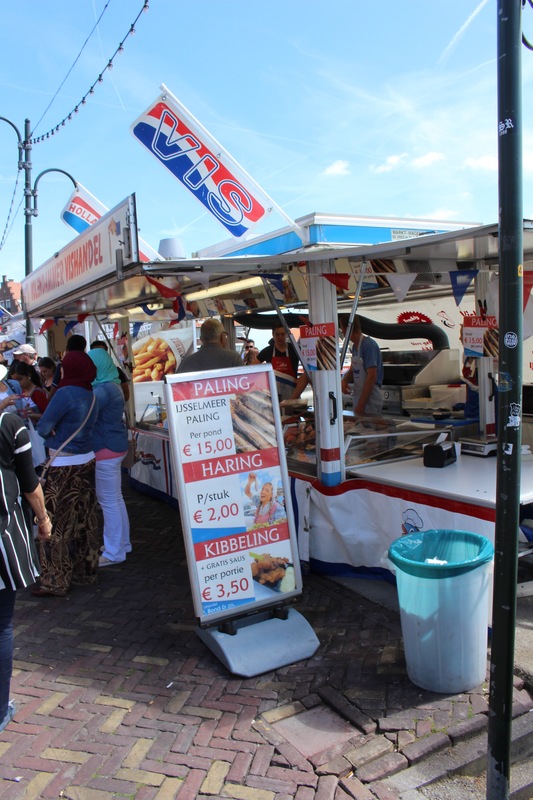 If you are not necessarily in the mood for a restaurant you can also eat at the fish stands where they sell some typical fish like Haring (which you eat with diced onion), Kibbeling (fried fish with tartare sauce) or paling. 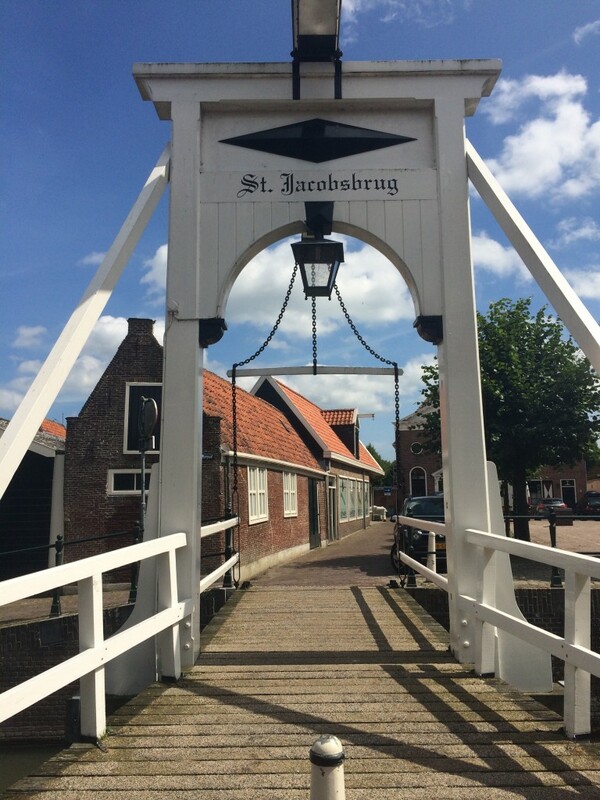 A tourist attraction is the cheese factory which is also located along this path. 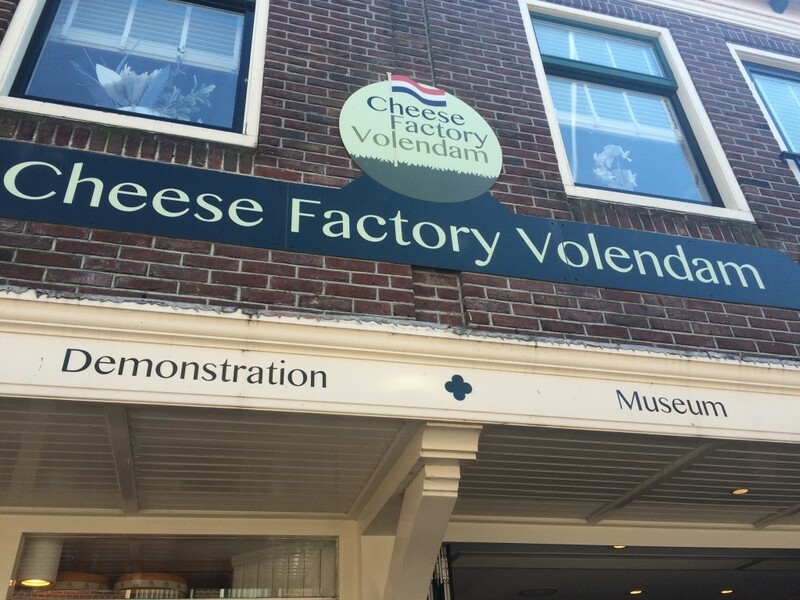 The cheese factory makes its own fresh farm cheese and also is a museum and a place where cheese can be tasted. This is a must for cheese lovers out there! 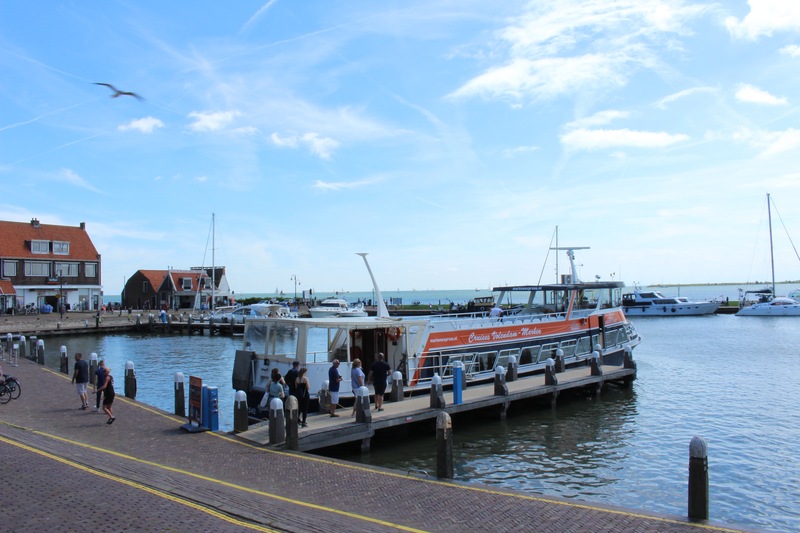 From Volendam there are also ferry’s that take you to the Island of Marken which you can see in the distance. The Ferry leaves every half an hour and it is regularly chosen for an afternoon trip. 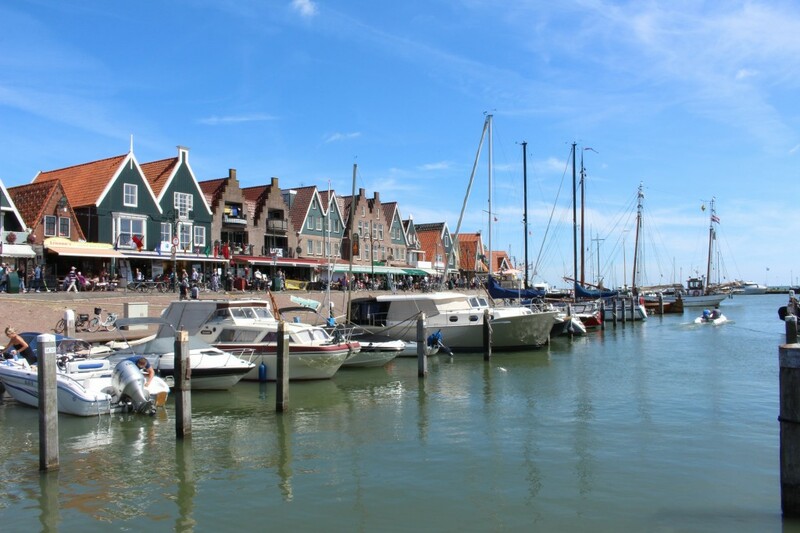 Marken which is a peninsula, is famous for its wooden houses and lighthouses. After walking past the busiest part of the main road I walked through one of the narrow streets leading inland to walk around the quieter areas too and see what they were like. 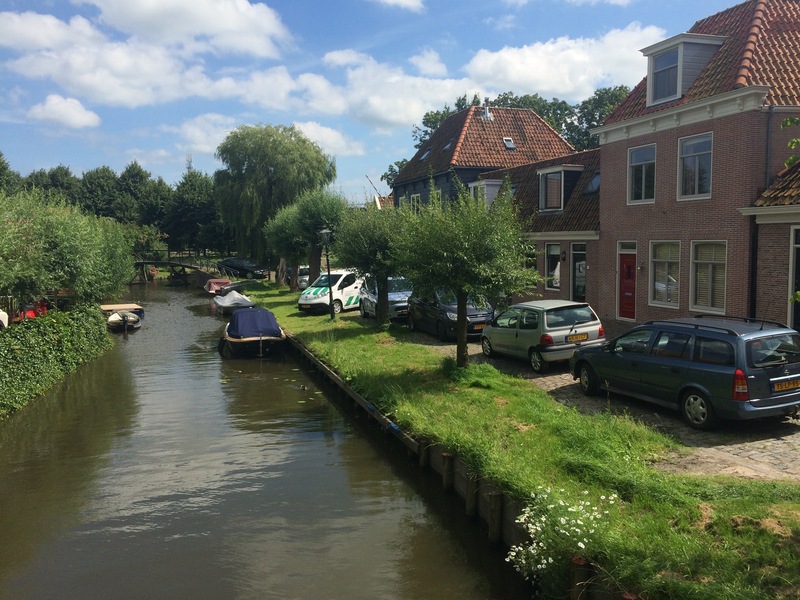 I was more than pleasantly surprised to come across picturesque houses, bridges and canals. Although it was a Sunday, the streets were quiet away from the main road and there were only residents sitting on their terraces soaking up the sun. Walking around there are many old fashioned bridges, houses and the most beauitufl terraces with colourful chairs and flowers. I also came across a church surrounded by all these houses and it is actually a Catholic church. 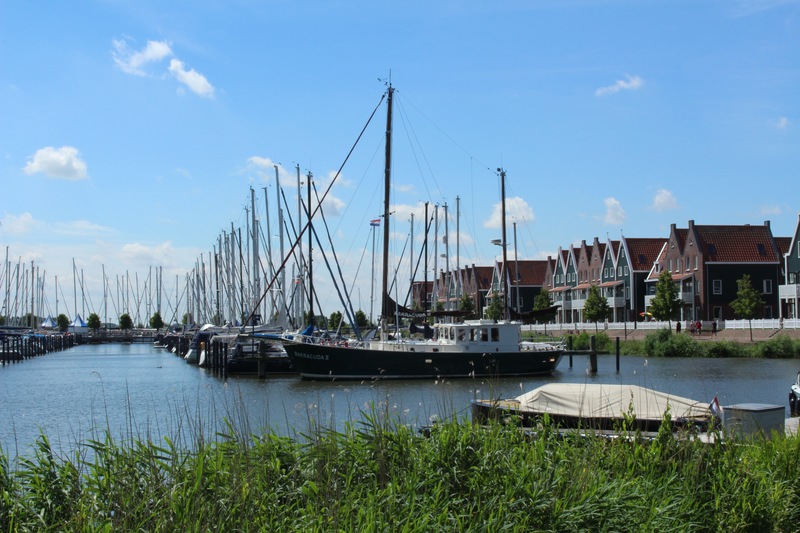 From there I walked back to the car and towards the Marina Haven of Volendam. This is the other harbour and is not surrounded by restaurants and shops like the other side. This side is quiet and simply filled with boats but it is lovely to see them with the houses in the background. Leaving Volendam there is a windmill located on the road that exits the city with the other side being filled with houses with very artistically decorated gardens. 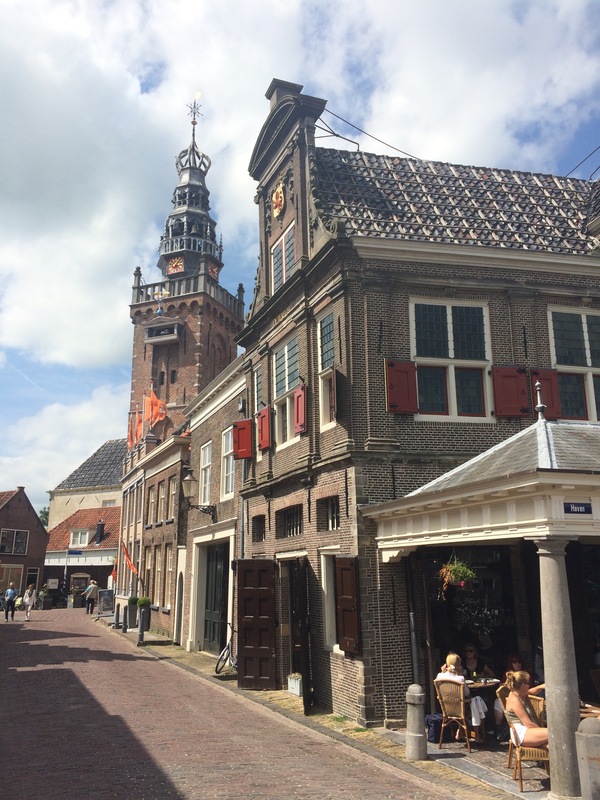 On the way back to Rotterdam there was another town I decided to stop and have a quick look at (now that I was already in the area) and this was Monnickendam. 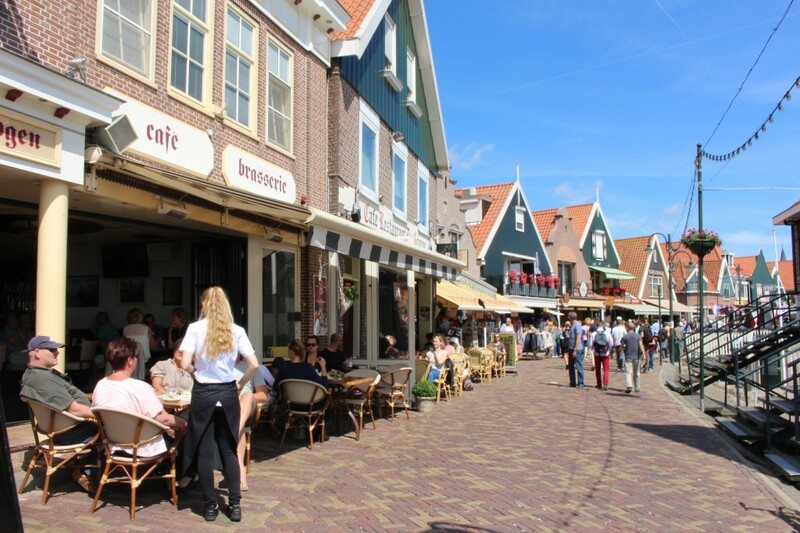 Monnickendam is a small city that received city rights and is located only 15 minutes by car from Volendam. After quickly studying the map I parked near the big church and decided to walk into the city. This city was apparently very affected by fires in the 1500’s. Walking around I could already tell it was a good idea to leave the car parked because the streets are very narrow and it is the kind of place you appreciate on foot as distances are quite small. Walking past all the old bridges this city is also peaceful and a great place to take pictures. I reached the centre to have a view of little boats. There are several restaurants with terraces so I sat down at one and had a refreshment while taking in the city vibes. 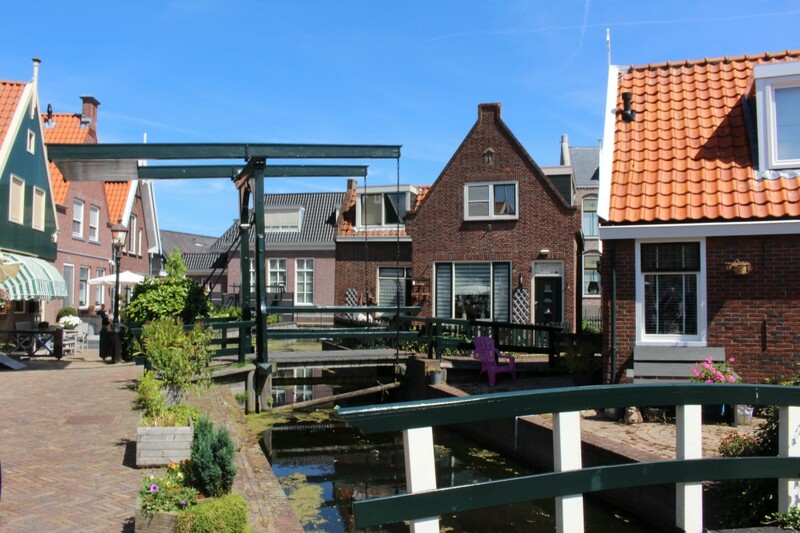 A nice place to sit was called “De Waegh”. After walking around for a bit I headed back to the car and had a quick look at the church before leaving. The church is a Gothic building that was constructed around 1450 and was renewd after that. 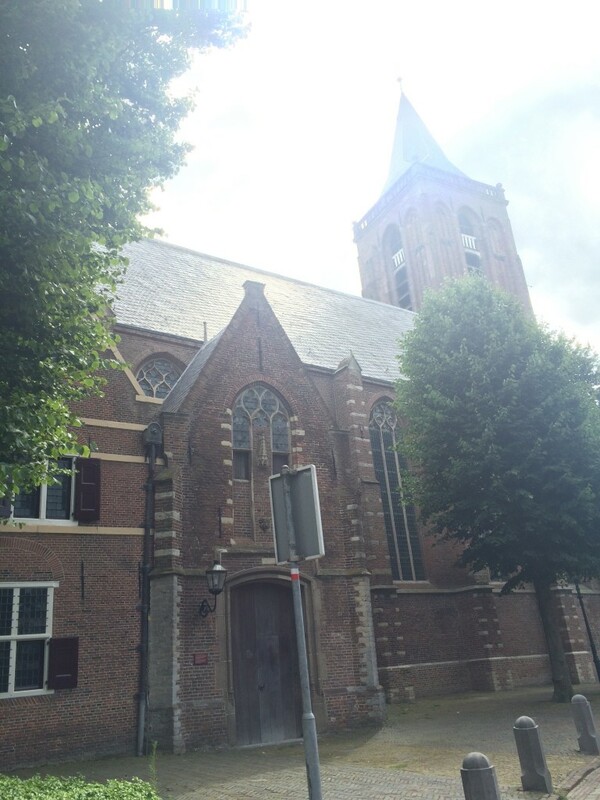 It is a protestant church and is located where the old city center used to be. The church is known for its tower and clock, the organs and graves that can be found inside. I found the church to be really big in proportion to the size of the city. 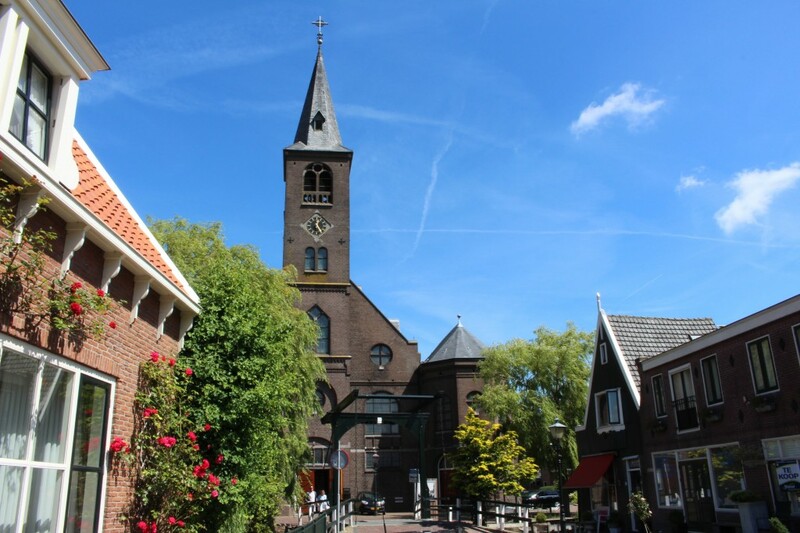 Like most Dutch churches there is a cemetery next to it and the route to exit the city too. If you are in Amsterdam these two city’s could be visited within one day if you are looking to see something quiet and traditional.